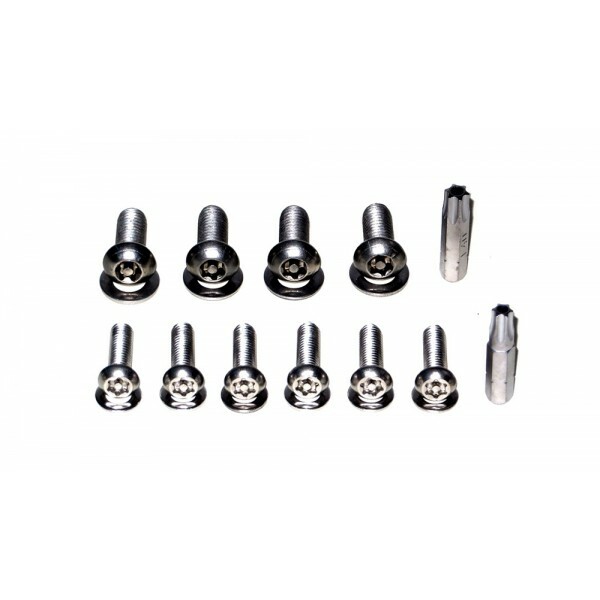 The security fitting kit for the hardtop consists of stainless tamper proof screws and It will work with both OEM and Jass Performance hardtop brackets. The star bit design allows additional torque to be applied to the bolts, similar to the OEM bolts. 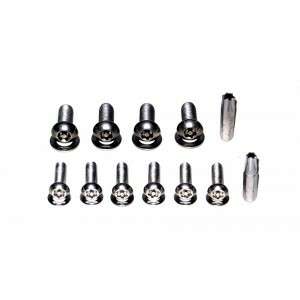 All bolts in the kit are tamper proof and corresponding security bits are delivered with them (one for each bolt size). The kit contains 4x M8, 6x M6 bolts, washers for them and the bits for each. One full kit is good front or the rear. Of course it can be combined with regular kit, where the tamper proof bolts are mixed at the rear and front with the regular ones (4x M8 ones for each corner + the M6 ones distributed at the front and rear).